Our client was in a very emotional position, seeking to refinance existing loan facilities at one of the major banks and pay-out her ex-husbands share of the family home. She was very keen to find a solution for her situation but was not at all confident that it could be resolved given that she was unable to find assistance from her current lender. She had been operating a home-based business making bespoke quilts as a supplementary income for the family for over 10 years. Upon the separation from her husband, earlier last year she ramped that up to a full-time business and growth had been significant. She has 3 dependent children living at home who are all in their final years of high school. The above was not acceptable to her current home loan provider given the age of her children and the short history of a higher business income. Leaving out the income from Child Support and relying on past business income did not show sufficient servicing capacity to enable the cash out required to pay out her ex-husband. Suddenly our client was facing the prospect of further, significant disruption to herself and her children’s lives through the sale of the family home to finalise the divorce settlement. This was made even more complex by the fact that the home is purpose built to incorporate her business which requires significant open space for the specialist sewing machines. What finance solution did we provide? Our expert Launch Finance broker worked through our multiple lender options to find a lender that would rely on the higher recent business income and would assess the position based on the current level of Child Support and Family Tax income regardless of the children’s age. The rationale with respect to the latter being that once the children completed high school the high cost of school fees would cease in line with the cessation of part of the Child Support income and Family Tax benefits. Upon finding 4 possible lenders that would consider the proposition, one option stood out by clearly offering the best mix of policy flexibility on the income sources and rate/fees that whilst being above best current market rates for a simple home loan were very reasonable. This made what was once a hopeless situation, a very happy outcome. 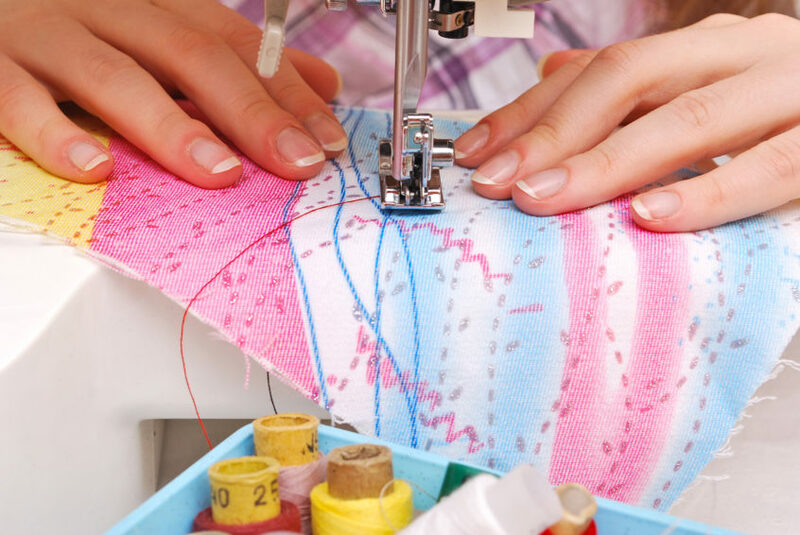 expand her business by the acquisition of a second specialist quilting machine which should add significantly to her income and insulate her from any loss of income through the breakdown of her current most important piece of equipment. Our client was extremely surprised and grateful that our broker was quickly able to source a suitable option that was not at a cost to her that was prohibitive. Our broker will remain in contact over the next year or so and once her business records are of sufficient duration at the higher level, he will look to refinance the loan back to a major lender at the best available interest rate. This is a prime example of what we strive for at Launch Finance, to build your financial future with you and find #therightloanforyou. If you are in a challenging situation and looking for expert advice to navigate the best solution, your broker will be happy to assist and advise during a free consult. Call (08) 9367 4222, info@launchfinance.com.au or fill out the form on this page.